This contributor has added 9406 volumes from 1324 titles, containing 4195272 pages. Rambles in search of ferns. Publication info: London :Houlston & Wright,1861. Rapport Annuel sur les Travaux de la Société d'Histoire Naturelle de l'Ile Maurice. By: Société d'histoire naturelle de l'îIe Maurice. Rapport General sur les Travaux de l'Academie des Sciences, Arts et Belles- Lettres de la Ville de Caen. By: Académie royale des sciences (France) - Institut de France. Rapports Généraux des Travaux de la Société Philomathique de Paris. By: Société Philomathique de Paris. By: Scottish Natural Heritage (Agency) - Scottish Ornithologists' Club - Scottish Raptor Study Groups. By: Reading Natural History Society. Publication info: London :School of Earth Sciences, Thames Polytechnic,1988. Record of Proceedings / Cleveland Naturalists' Field Club. By: Cleveland Naturalists' Field Club. Record of the Geological Survey of Victoria. By: Geological Survey of Victoria. Recueil de mémoires et autres pièces de prose et de vers : qui ont été lus dans les séances de la Société des amis des sciences, des lettres, de l'agriculture et des arts, à Aix. Publication info: Aix :Augustin Pontier,1819-1827. Recueil de Mémoires, ou Collection de Pièces Académiques. By: Société de Géographie de Paris. Recueil des Actes de la Séance Publique de l'Académie Imperiale des Sciences de St.Petersbourg. Recueil des Actes de la Société de Santé de Lyon. By: Société de Santé de Lyon. Recueil des Travaux de la Société (d'Amateurs) des Sciences, de l'Agriculture et des Arts à Lille. Le règne animal distribué d'après son organisation, pour servir de base à l'histoire naturelle des animaux et d'introduction à l'anatomie comparée. Edition: Nouvelle édition rev. et aug. Publication info: Paris :Chez Déterville,1829-1830. Reise nach Kolchis und nach den Deutschen Colonien jenseits des Kaukasus : mit Beiträgen zur Völkerkunde und Naturgeschichte Transkaukasiens. Reise um die Erde ausgeführt auf dem ... Seehandlungs-Schiffe Prinzess Louise, commandirt von Capitain W. Wendt in ... 1830, 1831 und 1832, &c.
By: Schomburgk, Richard, - Cabanis, Jean Louis. - Ehrenberg, Christian Gottfried, - Erichson, W. F. (Wilhelm Ferdinand), - Müller, Johannes, - Müller, Johannes, Physiologist. - Troschel, F. H.
Publication info: Leipzig :J. J. Weber,1847-48. Rendiconti delle Sessioni dell'Accademia delle Scienze dell'Istituto di Bologna. By: Istituto di Bologna. Accademia delle Scienze. Rendiconti delle Tornate dell'Accademia Pontaniana. By: Accademia nazionale dei Lincei. Classe di scienze fisiche, matematiche e naturali. Rendiconto dell' Accademia delle Scienze Fisiche e Matematiche. Repertorio Italiano per la Storia Naturale. Report (and Abstracts of Proceedings and Papers) of the Brighton and Sussex Natural History and Philosophical Society. Report / Balham & District Antiquarian and Natural History Society. By: Balham and District Antiquarian and Natural History Society. Report / Botanical Exchange Club and Society of the British Isles. By: Botanical Exchange Club and Society of the British Isles. Report / Botanical Exchange Club of the British Isles. By: Botanical Exchange Club of the British Isles. Report / Botanical Exchange Club. Report / Botanical Society and Exchange Club of the British Isles. By: Botanical Society and Exchange Club of the British Isles. By: Bristol Museum and Library. Report / Burnley Literary and Philosophical Society. By: Burnley Literary and Philosophical Society. Report / Bury Natural History Society. By: Bury Natural History Society. Publication info: Bury :Bury Natural History Society. 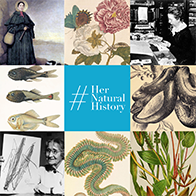 Report / Haileybury Natural Science Society. By: Haileybury Natural Science Society. Report / Hampstead Naturalists' Club. Report / Leeds Naturalists' Club & Scientific Association. By: Leeds Naturalists' Club and Scientific Association. Report / Perthshire Natural History Museum. By: Perthshire Natural History Museum. Report / The Scientific Society, University College of Wales. By: University College of Wales. Scientific Society. Report / Warwickshire Natural History & Archaeological Society. By: Warwickshire Natural History and Archaeological Society. Report and Proceedings of the Belfast Natural History and Philosophical Society. By: Belfast Natural History and Philosophical Society. Report and proceedings of the Chester Society of Natural Science, Literature and Art. By: Chester Society of Natural Science Literature and Art. Report and Transactions / East Kent Scientific and Natural History Society. By: East Kent Scientific and Natural History Society. By: Glasgow Society of Field Naturalists. Publication info: Glasgow:Glasgow Society of Field Naturalists,1873-77. Report of Burton-on-Trent Natural History and Archaeological Society. By: Burton-on-Trent Natural History and Archaeological Society. Report of the Belfast Natural History and Philosophical Society. Report of the British Association for the Advancement of Science. By: British Association for the Advancement of Science. Report of the Canterbury Philosophical and Literary Institution. By: Canterbury Philosophical and Literary Institution. Report of the Chester Society of Natural Science, Literature and Art. Report of the Curator / Botanical Exchange Club. Report of the curators / London Botanical Exchange Club. Report of the Derby Free Library and Museum and Art Gallery. By: Derby Free Library and Museum and Art Gallery. Report of the Dundee Naturalists' Society. Report of the East Kent Natural History Society. By: East Kent Natural History Society. Report of the Erith and Belvedere Natural History and Scientific Society. By: Erith and Belvedere Natural History and Scientific Society. Report of the Folkestone Natural History Society. By: Folkestone Natural History Society. Report of the Greenock Philosophical Society. Report of the Hampstead Scientific Society. Report of the Harrow School Scientific Society. By: Harrow School Scientific Society. Report of the Leeds Philosophical & Literary Society. By: Leeds Philosophical and Literary Society. Report of the Liverpool Microscopical Society. Report of the New Cross Microscopical and Natural History Society. By: New Cross Microscopical and Natural History Society. By: British Museum (Natural History). Department of Zoology. - Austen, E. E. (Ernest Edward), - Theobald, Fred. V. (Frederick Vincent), - Great Britain. His Majesty’s Stationery Office. - Liverpool School of Tropical Medicine. Report of the Proceedings of the Society / Cheltenham College Natural History Society. By: Cheltenham College Natural History Society. Report of the Royal Zoological Society of Ireland. By: Royal Zoological Society of Ireland. Report of the South London Entomological Society. By: South London Entomological Society. Report of the Watson Botanical Exchange Club. By: Watson Botanical Exchange Club. Report of the Whitby Literary & Philosophical Society. By: Whitby Literary & Philosophical Society. Report on the scientific investigations / Northumberland Sea Fisheries Committee. By: Northumberland Sea Fisheries Committee. Report on the trawling excursions carried on during the summer of ... and on the Marine Laboratory at Cullercoats. By: Marine Laboratory at Cullercoats. By: Johnson, Walford B. - Johnson, S. C.
Publication info: London :British Museum. Revised list of the Ferns of Natal. Publication info: [Hamburg] :Ingo Lehmann,2010. Publication info: Rio de Janeiro. By: Real Academia de Ciencias Exactas Físicas y Naturales de Madrid. By: Guérin-Méneville, F.-É. (Félix-Édouard), - Société Cuvierienne. Revue méthodique et critique des collections déposées dans cet établissement. By: Rijksmuseum van Natuurlijke Historie te Leiden. Publication info: Leyden,Rijksmuseum van Natuurlijke Historie. Rivista Ligure : Giornale di Lettere, Scienze ed Arti. Rivista Periodica dei Lavori della I.R. Accademia di Scienze, Lettere ed Arti di Padova. By: Accademia di scienze, lettere ed arti di Padova. The Rot in Sheep : its nature, cause, treatment, and prevention. Edition: 3rd ed. / &c.
Rot or Fluke, and Louping-ill in Sheep, with the use of Salt as a preventative. By: Booth, Edward Thomas, - Neale, E.
Rovartani lapok : havi folyóirat különös tekintettel a hasznos és kártékony rovarokra. Publication info: Budapest :Magyar Entomologiai Társaság,1884-1926. In: Histoire de l'Académie royale des sciences, avec les mémoires de mathématique et de physique. Report on the swallow enquiry, 1935. By: Alston, A. H. G.
Publication info: London :The Museum,1951-1992.